Be prepared for your next trip to the Oregon Coast. The weather can be unpredictable and change drastically from day to day; use the various resources and information below to be more prepared. 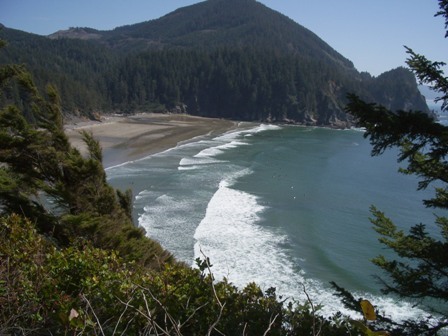 Never too hot or too cold, Manzanita, Oregon has extremely favorable weather all year round. With a minimal number of rainy days year round, October - April at the wettest months. Be prepared for you next trip with this trip guide to Manzanita Beach, part of the stunning 363-miles of Oregon coastline. 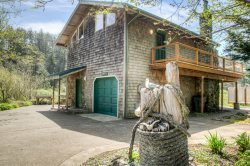 At Manzanita Beach Getaway Vacation Rentals, we realize the weather can change dramatically from day to day shifting how you’ll want to experience the beach. We’ve provided the following guide about the Oregon Coast weather, so you can choose the best time to visit Manzanita Beach. 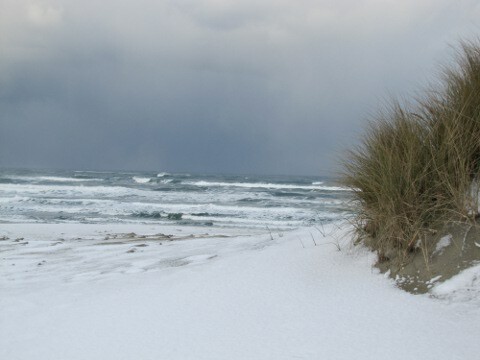 You’ll want to prepare for each season of your Manzanita Beach rental, including the sunny summer days, warm fall temperatures, and storm watching in winter. 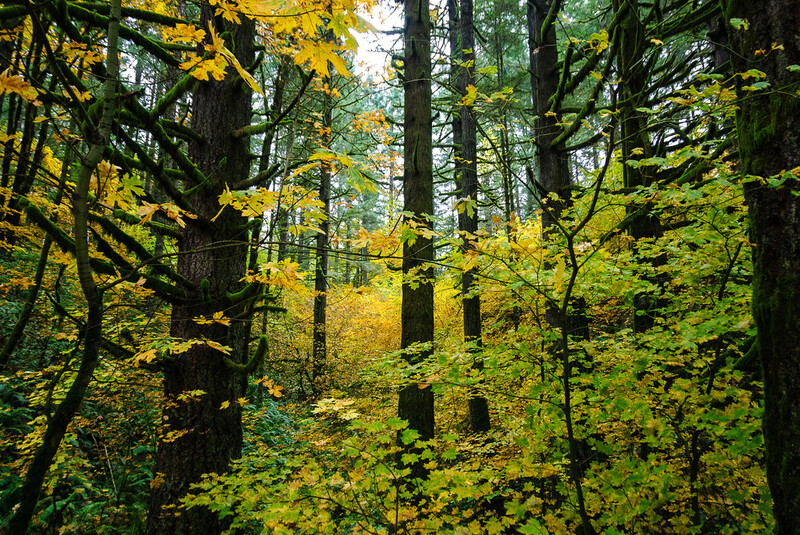 Find out why Oregon’s coastal climate makes it awe-inspiring destination all year round. Spring is a favorite for many travelers to visit the Oregon Coast beaches. There are plentiful activities and events in the area to check out during the spring months. Average spring weather is high of 60 degrees with a low of 41 degrees, making it the perfect time for walking in the sand or suiting up to surf the perfect waves. Bring your raincoat and light layers to protect against cool weather and occasional rain. You’ll want to explore without worrying about the elements! Bring your sunglasses, swimsuit and sunscreen because the weather on Manzanita Beach enjoys a micro-climate of warmer and sunnier weather than some of the neighboring communities. Riptides and “sneaker waves” are always a concern, so a good rule is to never turn your back on the beach. Expect a breeze even on warm days making perfect conditions for flying kites on land and kiteboarding in the Pacific Ocean. July can be one of the warmest months of the year! Summer is the ideal time for soaking in the sun, visiting the farmer’s markets and watching the sunset with loved ones. Fall is called the “second summer” due to the warm temperatures on land and in the water. Gorgeous fall days include highs of 68 degrees and lows of 45 degrees. September is also one of the dryer months of the year. Despite unpredictable weather, there are also more chances of sun in early fall with fewer family travelers in the area. Fall is also harvest season inviting you to on a day trip to explore local wineries in the North Coast. Without the crowds and still offering sunny days, winter on the Oregon Coast can be some of the best. Mild winters welcome visitors from chillier climates. Highs of 55 and lows of 38 make this the ideal time to cozy up near a campfire. It’s the pounding winter waves that shape Oregon’s rugged coastline. Exploring these dramatic cliffs lead many to claim the Oregon Coast is the most beautiful stretch to travel along iconic Highway 101. Grey whale watching in December and March draw those lucky enough to catch a glimpse of the migration around Depoe Bay to the south. For the experienced surfer with a proper wet suit, the Oregon Coast in winter also offers the biggest swells and least crowded conditions. Know your tides! If you are headed out on the water for fishing or simply doing some shoreline activities like clamming, check the tide chart. Discover when it is safest to have a marine adventure by when the tides are lowest and not as strong. For this reason, a jacket and rubber boats are always handy to protect against winds and explore the expansive tide pools in the area.